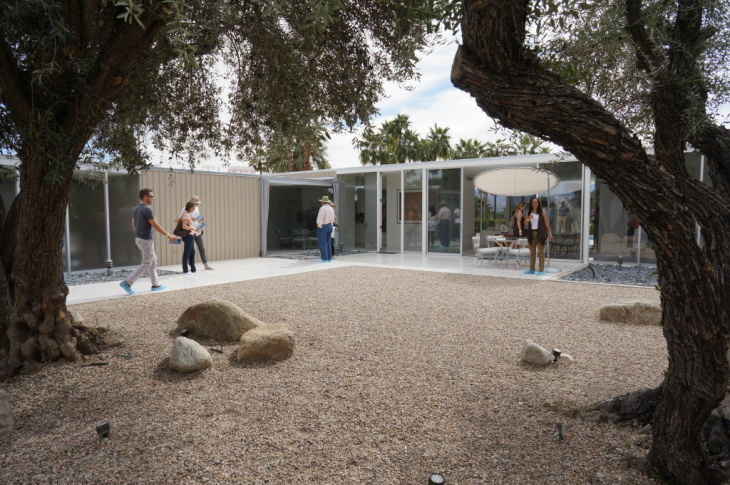 Front courtyard of the Palm Springs "Glass House" by William F. Cody, 1967. Another modernist landmark beautifully renovated by its current owner. 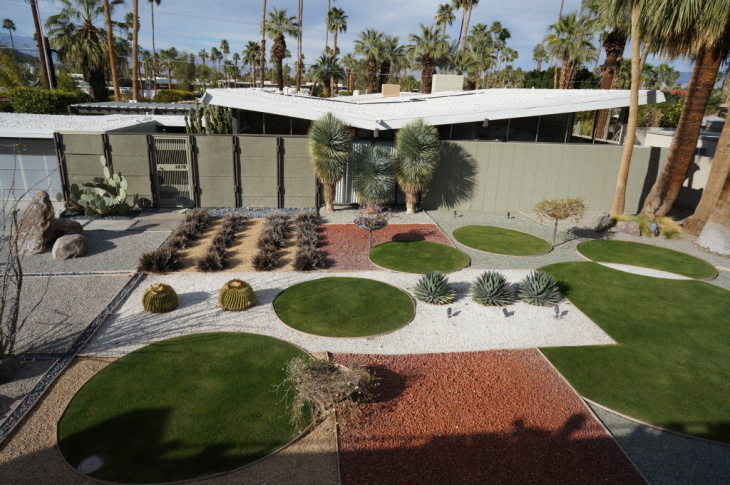 Front courtyard of the Palm Springs "Glass House" by William F. Cody, 1967. 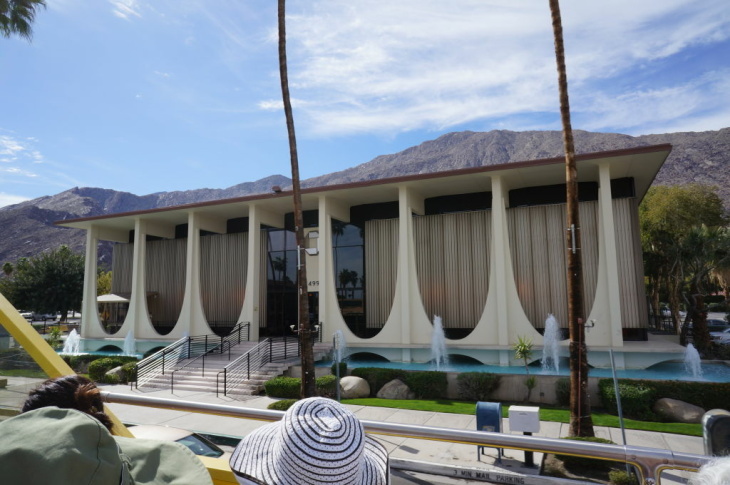 Panoramic view of the front courtyard of the Palm Springs "Glass House" by William F. Cody, 1967. Another modernist landmark beautifully renovated by its current owner. Panoramic landscape seen from the living room of the Palm Springs "Glass House" by William F. Cody, 1967. 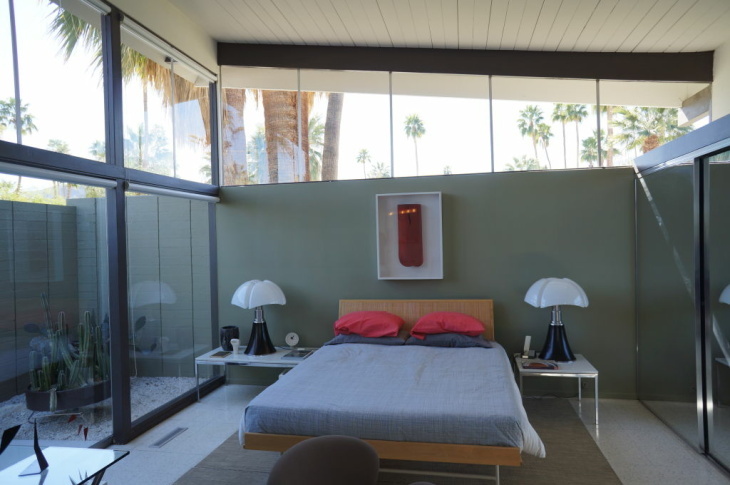 Landscape seen from the living room of the Palm Springs "Glass House" by William F. Cody, 1967. Larger than life Marilyn Monroe. "Forever Marilyn" - a 26 foot tall sculpture created by artist J. Seward Johnson. 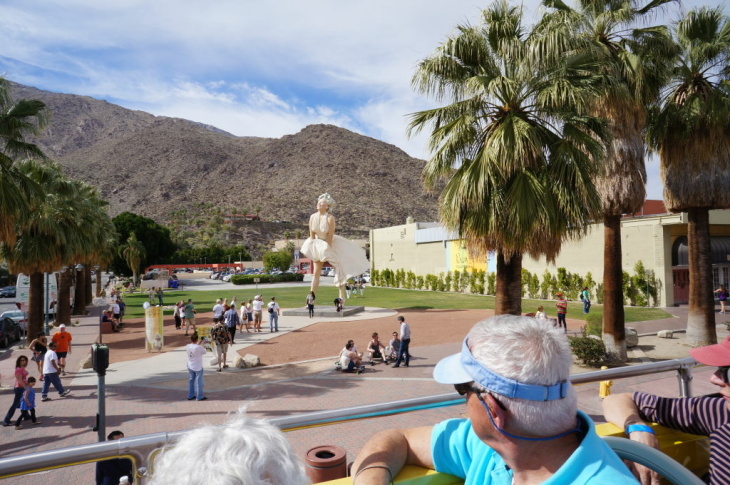 Marilyn often visited Palm Springs. The statue will be displayed until June 2013. 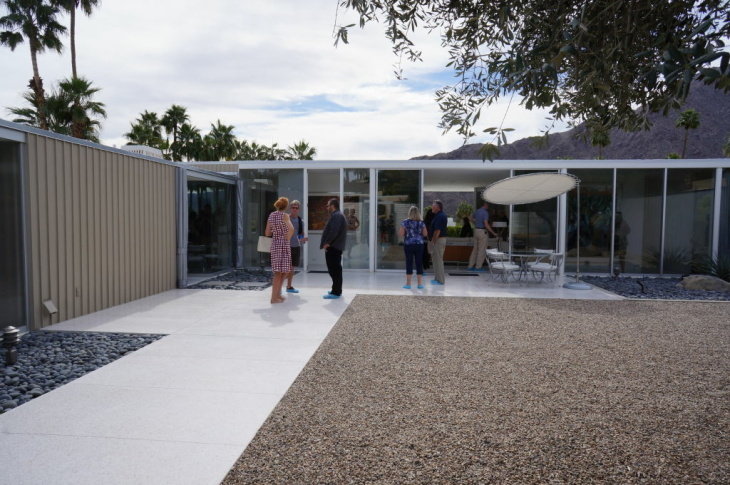 This week, fans of mid-century modern design and architecture are gathering in Palm Springs for that city's annual Modernism Week. 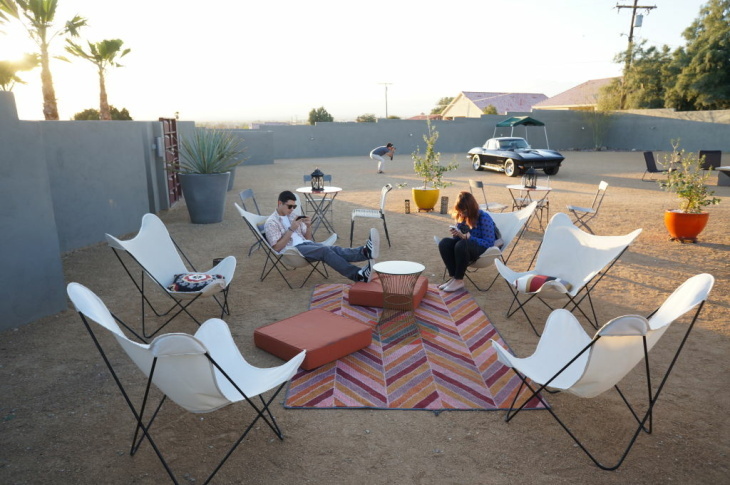 Modernism Week actually lasts 11 days and began last weekend. Culture critic Edward Lifson joins the show with more.